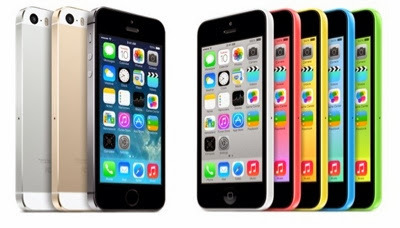 iPhone 5s and 5c will be available on Friday, October 25 in Austria, Belgium, Bulgaria, Croatia, Czech Republic, Denmark, Estonia, Finland, French West Indies, Greece, Hungary, Ireland, Italy, Latvia, Liechtenstein, Lithuania, Luxembourg, Macau, Malta, Netherlands, New Zealand, Norway, Poland, Portugal, Reunion Island, Romania, Russia, Slovakia, Slovenia, South Korea, Spain, Sweden, Switzerland, Taiwan and Thailand. iPhone 5s and 5c will also be available on Friday, November 1 in Albania, Armenia, Bahrain, Colombia, El Salvador, Guam, Guatemala, India, Macedonia, Malaysia, Mexico, Moldova, Montenegro, Saudi Arabia, Turkey and UAE. Both iPhone 5s and iPhone 5c are currently available in the US, Australia, Canada, China, France, Germany, Hong Kong, Japan, Puerto Rico, Singapore and the UK.